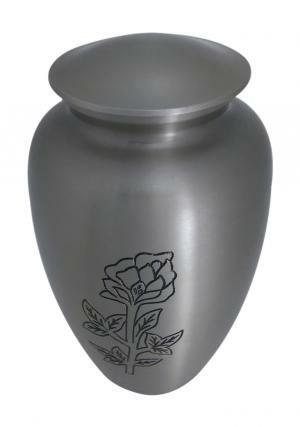 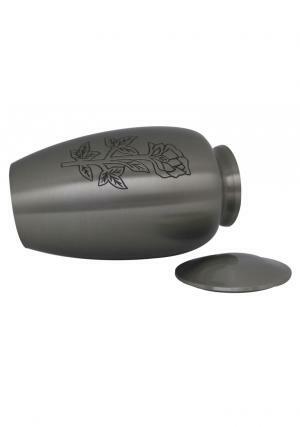 Blossoming Rose Engraved Grey Adult Urn is decorated in lustrous grey enamel and polished well with hand sketched black rose. 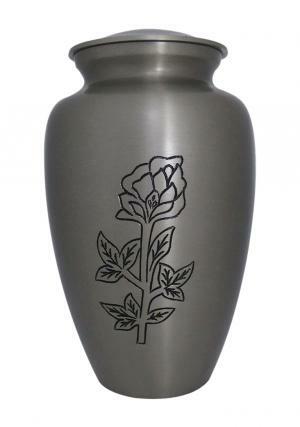 The engraving of the rose represents the brightness of life with storage of large adult ashes. 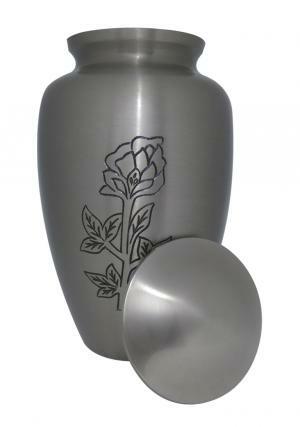 The Large adult urn has smooth polish from flair artwork from professional hand decors. 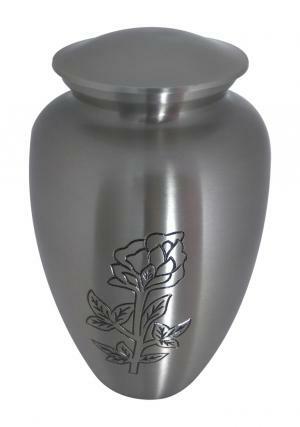 The Grey Adult Blossoming Rose Memorial Urn is polished with plain threaded lid used to secure the ashes of the loved one when demised. 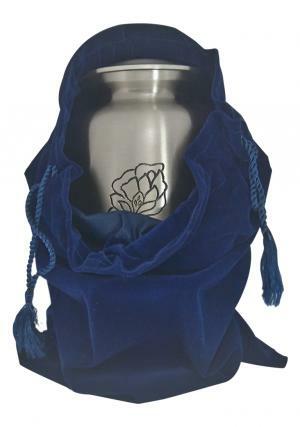 The Rose adult urn is capable of holding 200 cubic inch of adult human ashes with a measured 9.84 inch height, 6.7 inch width and weighs 2 kg approximately as an empty urn.